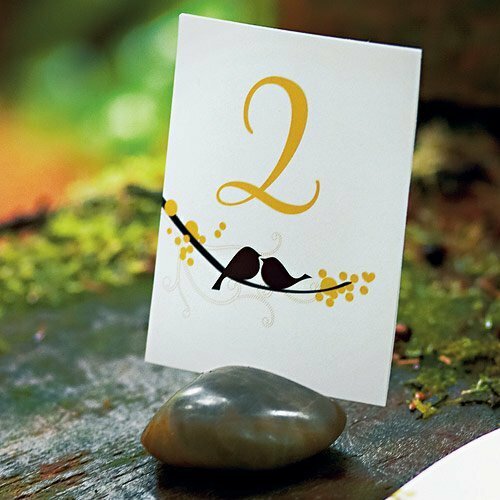 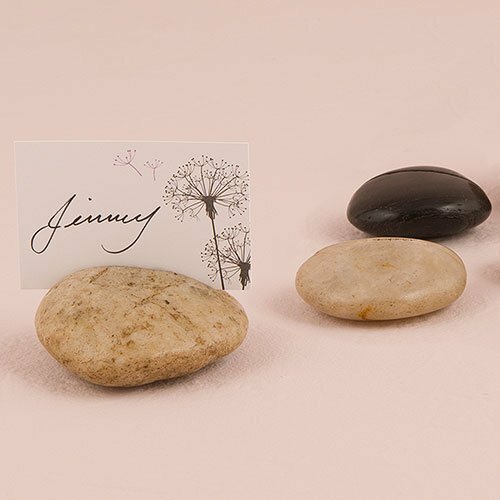 These lovely natural stones are polished and then a card slot is etched into each one so that you can use them to display place cards, menu cards, table numbers or whatever you choose. 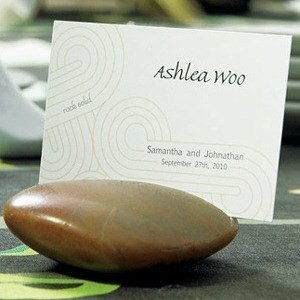 Place cards shown in the photo must be purchased separately. 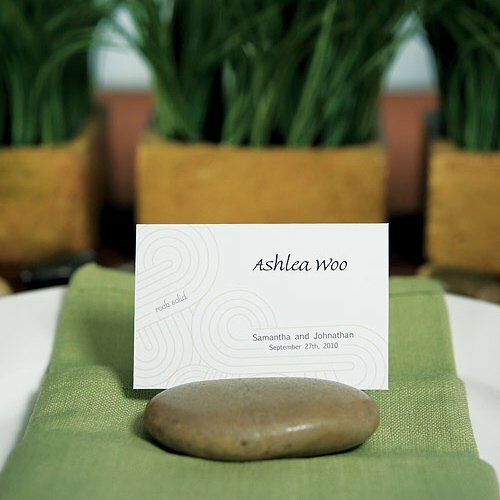 They can be used to create a lovely zen-like touch on your reception tables. 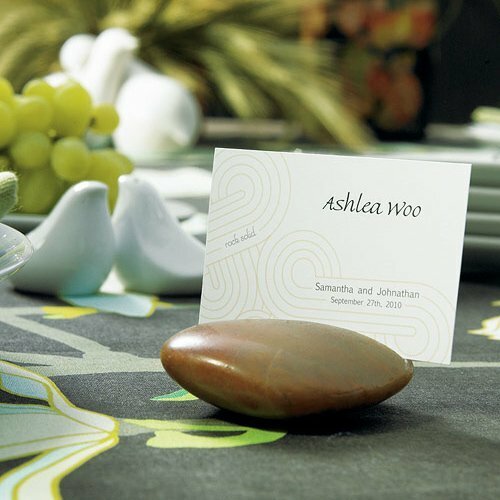 Add some bamboo and water centerpieces for an Asian feel. 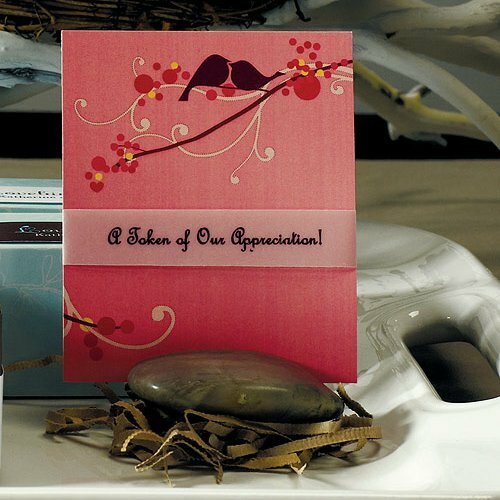 Sold in sets of 8 with a minimum order of 2 sets. 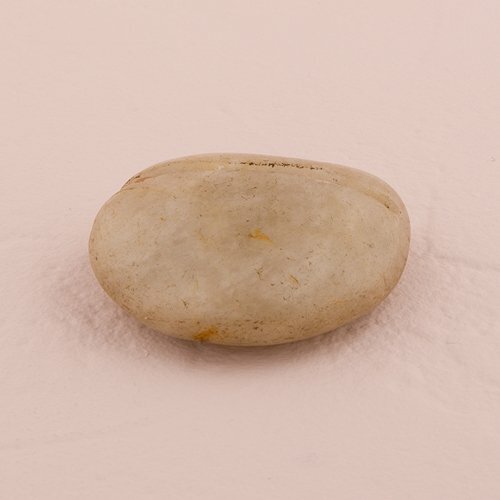 Product dimensions: 2 - 2 3/4".